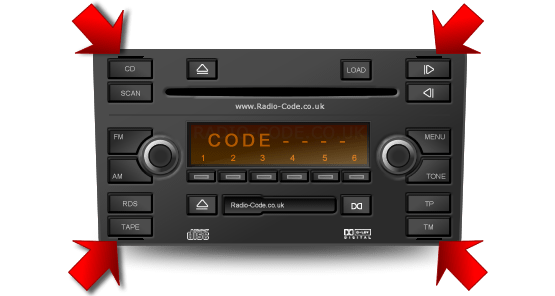 Some radios require specialist removal keys in order to remove the radio from the vehicle Including but not limited to Audi, Volkswagen, Skoda, some later Ford Models and various other units. A more common removal guide is also available. 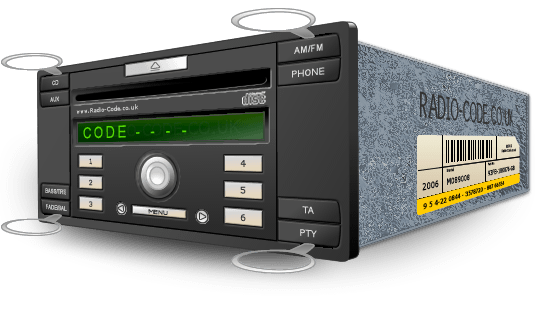 On the front of the radio, there will be between two and four small cut-outs towards each corner. Insert a set of removal keys (as illustrated) into these holes and they should click into place, at which point they can not be removed until the radio has been pulled out. This should release the clips allowing you to slide the radio out. Remember, the radio will still be attached to the vehicles wiring. Once its out enough, simply remove the antenna connection and the wiring block if required, or locate the serial number leaving the connections in place. 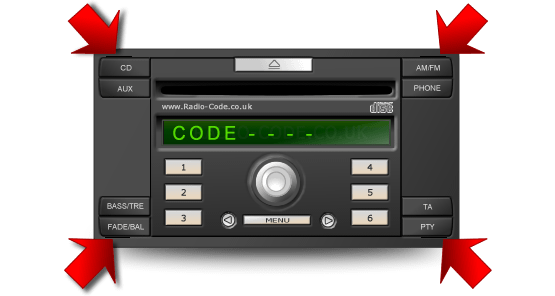 First class service- the car radio code worked perfectly on my daughters Ford car. Happy customer. Handy out. Ford was going to charge me 20 EURO . This is genuine. Instantly got the code. Wasnt over charged. Ireland.